Join us at conferences to get one last check in with your student's teachers. Join us as Ms. Kane presents on our school's current and future academic, operational and financial position. Celebrate a Charter Teacher You Love! CLCS is taking teacher nominations for special Teacher Appreciation prize. 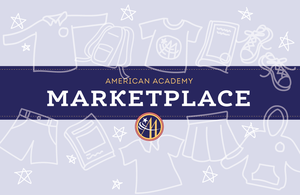 The newest spot online to find, buy, and sell American Academy uniforms and other school items! Check out some of the awesome art work your students created this year! All families should expect Phase 1 emails with instructions on April 22. Field Day is Coming Up in May and will include Fire Fighter Appreciation. We are so grateful to our volunteers who give of their time and their heart. Spring Musical - Thoroughly Modern Millie Jr.
Make plans and order your tickets now to watch students from all 3 campuses perform. Parents with outstanding fees will soon receive MySchoolBucks invoices.